Dietitian Cassie Dimmick shares the recipe. the bag and marinate for at least 1 hour. Preheat the oven to 400.
remaining marinade away. Rub the fish with the seasoning mixture. Place on a baking sheet lined with foil and sprayed with cooking oil. 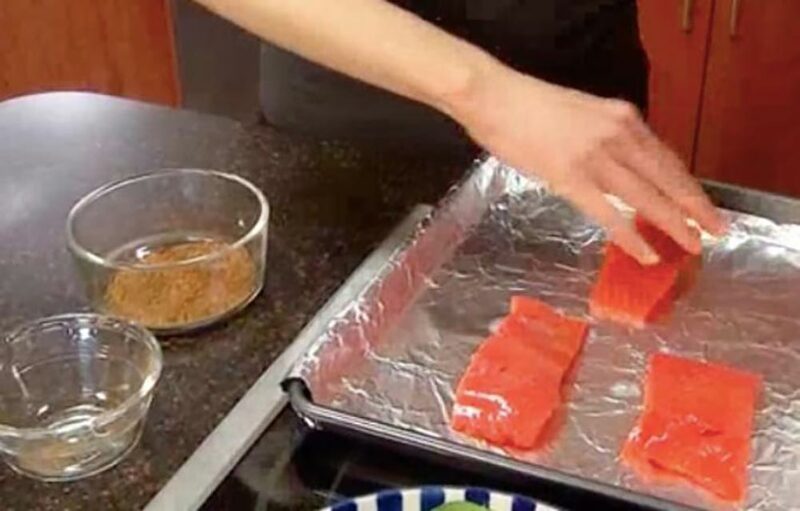 Bake for 10-12 minutes or until fish flakes easily. You can also sauté, grill, or smoke the salmon or even use this rub on other meats!